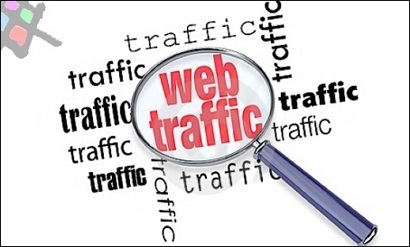 Web traffic is very essential matter for a blog or website. Traffic is the blood for your site. Only good and quality traffic can give you success and can lead to your proper earning destination. In this post I am sharing some quick ways to get traffic to your blog whether it is new or old. It is a really good starting point. If you have lots of friends on facebook then share your online contents on your wall. If you have your blog’s facebook fan page then you should update your fan page with your posts. This will surely works. After facebook, Twitter is the most favorite platform for sharing thoughts and online contents. This will definitely give you some deep attention towards your blog with tweets of your posts. Youtube is the top and most popular video sharing website in the world. Upload videos with your blog’s URL watermark and write a short description in about section with link back to your blog site. This is also called video marketing. As a webmaster or blogger you should take this smart advantage. Keep in mind that your uploaded videos are not breaking the copyright laws and terms of conditions. Do not be a lazy person. Because, as like active humans, search engine bots also hate lazy peoples. Keep your site/ blog always update with latest trends, tips and tutorials. One thing you should keep in mind that Content is the king for any blog. When visitors will see that you are updated always they will come back to read again and again and also this will rank up higher on search engine visibility. So again, post your contents regularly or very consistently to keep your readers returning to your lovely blog. Learn more, Why Daily Posting Is Essential? There is no doubt that SEO really works to bring quality web traffic. If you don’t optimize your blog site for search engines, you will be loosing more (actually huge) amount of traffic from search engine result pages. SEO is a powerful tool that only can serve you a lot of traffic. We often share trusted SEO tips and tutorials on this blog. Keep visiting to get latest SEO tricks. ► See all posts about SEO. Submit some quality and unique contents on major article directories with your blog URL to drive more targeted traffic. People search for certain contents in article directories to read further. When they read your contents, they will visit your blog to read or learn more matters. As I mentioned in point #4, always try to share posts about current/ latest events beside of your daily posting niche. People search for some special search terms on some special days. Such as: Eid day, Valentines day, USA election etc. This is a part of SEO. 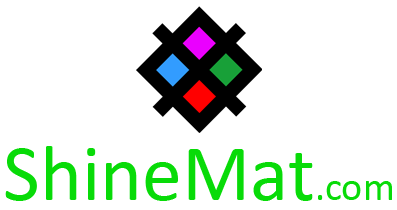 You can simply get backlinks by commenting on other blogs, forum posting, link exchanging, social bookmarking etc. Use your keyword niches randomly in link’s anchor text. I always do this thing when I post on forums and send emails to my clients or friends and family. You can also use this technique in resource or author info box when post on article directories. See at below, how I use signature in my emails. I hope by using these 10 quick traffic driving ways you will see a big difference on your blog as soon. Share your comments below. Good back links definitely provide a way in which traffic gets adhere to a website and does help the website and sometimes the traffic. It is a symbiosis mechanism. This article is really a good guideline for its readers.